Heating is essential for both homes and business establishments during the colder months of the year. Just imagine if something goes wrong in your HVAC in the middle of winter. Finding a service that you can trust during such situations is crucial. If you are looking for the best heating repair services in Albertville, AL, there is no better name to trust than All Seasons Heating and Cooling Inc.
Our name has become synonymous to excellent heating repair services. No matter what your HVAC system problems are, we can provide the right solutions and get your equipment back in working order in no time. Of all the similar companies operating in the area, All Seasons Heating and Cooling is the company of choice among residents not only of Albertville but also of residents of nearby towns. That’s because we have made a name for ourselves and established a solid track record of providing high quality services throughout our 33 years in the business. We have earned an A-plus rating with the Better Business Bureau, proof of our commitment to serving you in the best way we know how. 1. When you have a broken or malfunctioning HVAC unit - All Seasons Heating and Cooling specializes in doing repairs for heaters and air conditioners. We have experts who are trained in everything from routine troubleshooting to major overhauls. Whatever brand or unit you have, we can service your needs. Simply give us a call to schedule an inspection so we can do a thorough inspection and assessment of your HVAC repair needs. We can then present a detailed quote to give you an accurate idea of how much the repairs would cost. You can call us up any time of the day and even at odd hours for your emergency HVAC needs. 2. For regular maintenance checks – Even if there seems to be nothing wrong with your heater, you need to have it checked at certain intervals regularly. This will ensure that all parts are working properly and that parts that need to be replaced or calibrated are checked. The frequency of your maintenance checks is usually recommended by the manufacturer of your HVAC unit. We can also give you advice on how often we can come to your house to do maintenance checks depending on your unit’s condition and how extensively you use it. Regular maintenance checks will also increase the lifespan of your HVAC unit. 3. When your HVAC unit is not functioning optimally – You might notice a few kinks every now and then in the way your HVAC unit, but perhaps you are thinking that that you can shrug it off. That’s not a wise thing to do as these kinks can actually be precursors of more serious issues with your HVAC unit. We can give your heater a tune up to get it back to optimal working condition. All Seasons Heating and Cooling can do heater systems tune ups for various HVAC models. Among the steps that you can expect in an HVAC system tune up are: thermostat accuracy checking, cleaning the coils, and evaluating blower performance. A multi-point tune up will ensure that your heater is running at maximum efficiency at all times. 4. When you need a new HVAC unit to be installed – When you have reached the end of the lifespan of your HVAC unit and you need to replace it, All Seasons Heating and Cooling can help you out in your heater systems installation. Our qualified technicians are trained in all the steps of proper and safe heater installation. We can do an evaluation of your property to come up with an installation plan. 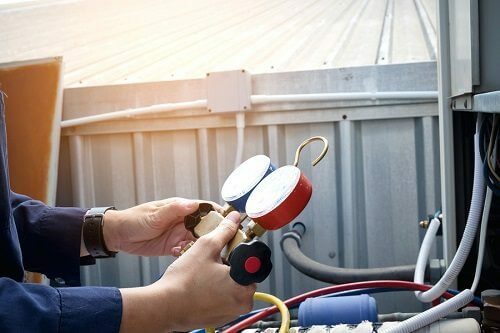 It might be necessary to make some adjustments or modifications to your property and electrical system to ensure the proper fit and installation of your new HVAC system. 5. When you are looking for more energy efficient options – All Seasons Heating and Cooling is an advocate of energy efficient solutions. If your HVAC system is not running efficiently anymore, you are likely to spend more on your electric bills and you will also be contributing to environmental degradation. We can recommend newer models that you can upgrade to for more energy efficiency. We carry some of the best heating units in the market that complies with the most stringent environmental standards. All Seasons Heating and Cooling should be your go-to company for heater repair services in Albertville, AL. We provide the best heating and cooling systems in the area. Our lines are open 24 hours a day, 7 days a week, ready to respond to your call at a moment’s notice. We even provide financing options for those who need our help but don’t have enough cash at the moment. Whether you are looking for a routine checkup of your HVAC system or you have an HVAC emergency, we have a crew at All Seasons ready to provide the best service you can find in the city. Call us today and see the difference for yourself.